Jonathan Pearson signed a three-and-a-half year deal with Sliema. Sliema Wanderers eased their defensive worries with the signing of Jonathan Pearson from Hibernians, yesterday. The Blues were looking for reinforcements this month after losing Roger for the rest of the season. The Brazilian defender suffered a cruciate knee injury. Italian Stefano Bianciardi is also likely to spend a few weeks on the sidelines after hurting his knee during the 3-1 win over Floriana. The Wanderers have been engaged in negotiations with Hibernians over the transfer of Pearson for almost a week but a deal has now been reached. The contract covers the next three-and-a-half years. Pearson, 30, joins John Buttigieg’s squad with immediate effect and he could make his debut this weekend when Sliema play Mosta in a league match at the Tedesco Stadium. Yesterday, Aidan Friggieri completed his move from Sliema to St Andrews after signing a two-and-a-half year contract. The 18-year-old forward had decided to part ways with the Blues earlier this month when he turned down a new contract offer. Various Premier League clubs had shown interest in the Malta Under-19 international but Friggieri opted for St Andrews as he looked to guarantee himself regular football. He is expected to make his first appearance for the Saints on Saturday in a match against champions Valletta at the Tedesco Stadium, Ħamrun. Friggieri is unlikely to be St Andrews’ only acquisition this month as they are also running the rule over three overseas players – two French forwards and English midfielder Rashid Yussuf. Yussuf is no new face for Maltese football as the former Wimbledon and Charlton player was on the books of Żebbuġ Rangers in season 2014-15. Meanwhile, English goalkeeper Matthew Towns has agreed to rescind his contract with St Andrews. Towns, 34, will be playing for Gozitan Division One side SK Victoria Wanderers for the rest of the season. 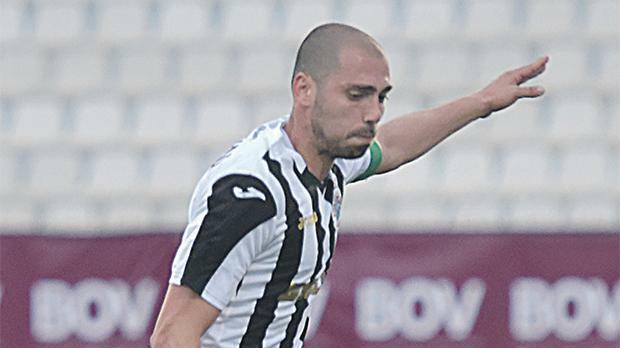 Gżira United have parted ways with Mauro Boerchio. The Italian goalkeeper had joined the Maroons in November but failed to impress the club’s technical staff. It is understood that Gżira are looking to sign a Maltese goalkeeper in time for their next league clash against Floriana on Sunday.